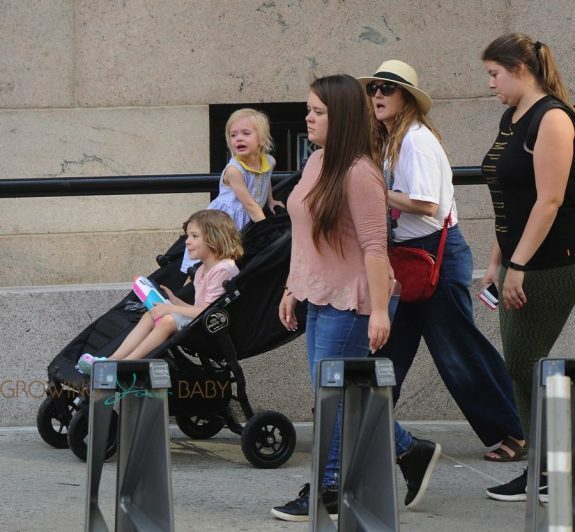 Drew Barrymore was spotted out for a stroll with her kids, Olive and Frankie on the Upper East side of Manhattan on Friday April 28, 2017. The 42-year-old actress kept a low profile in a straw hat, jeans, and a Minnie Mouse tee while trying to keep her youngest from jumping out of the stroller. Following her split from Will Kopelman, 38 last year, the actress has been raising the girls on her own.